Turn your PF30 or BB30 frame into a single speed. 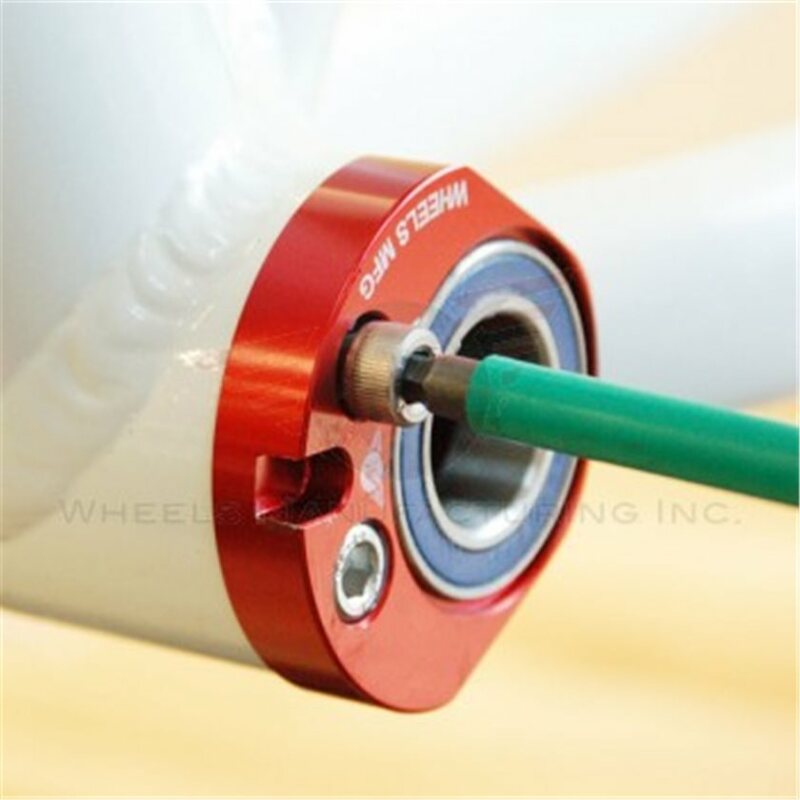 Wheels Manufacturing Eccentric bottom bracket takes advantage of the larger diameter shell and gives you the ability to adjust chain tension at the bottom bracket. 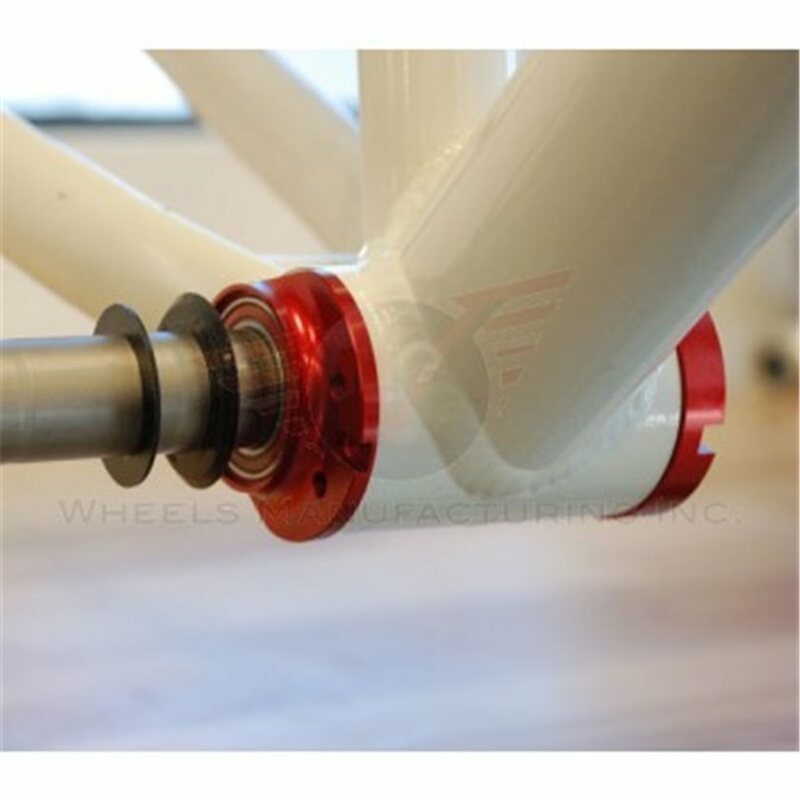 Constructed of machined aluminum and fully serviceable. 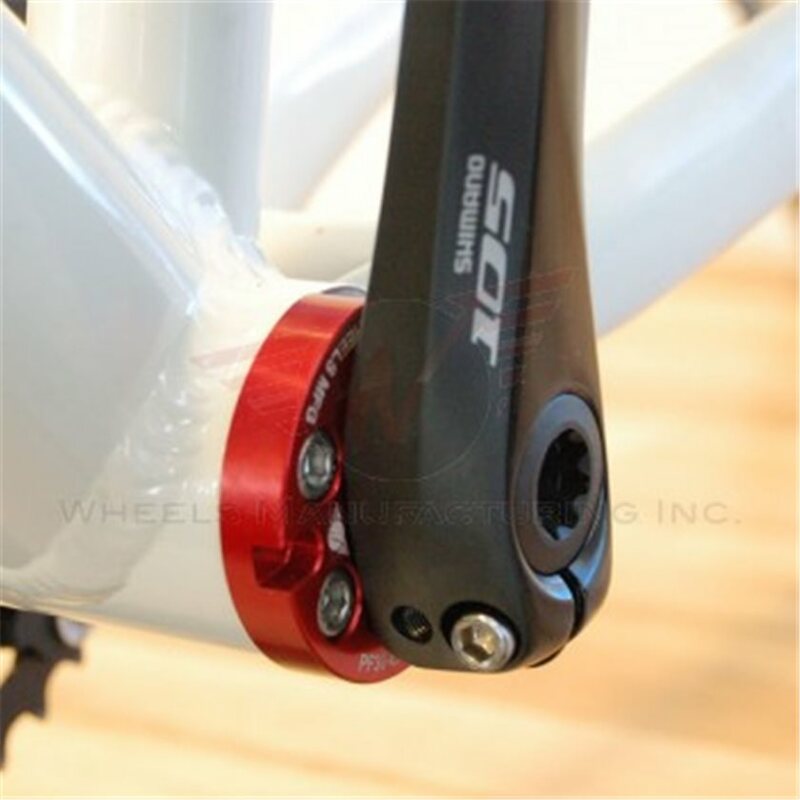 Choose from 22 or 24 mm spindle size options for Shimano or SRAM cranksets. This was total crap. 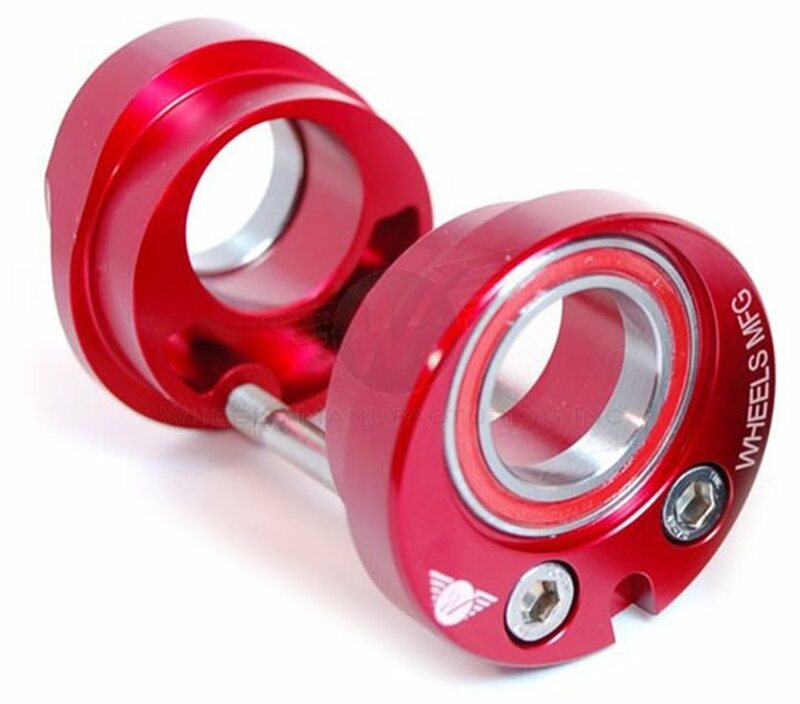 I ordered direct from Wheels and I am glad I did so Jenson would not have an angry customer. Installed and under torqued at 8nm instead of 10nm when installing and it cracked my carbon Specialized 29er BB. Use Niner, not this over-engineered crud. This EBB fit too tight in the shell and needing a spanner wrench to adjust it is a pain. The Niner EBB fits better and adjusts with a hex wrench. 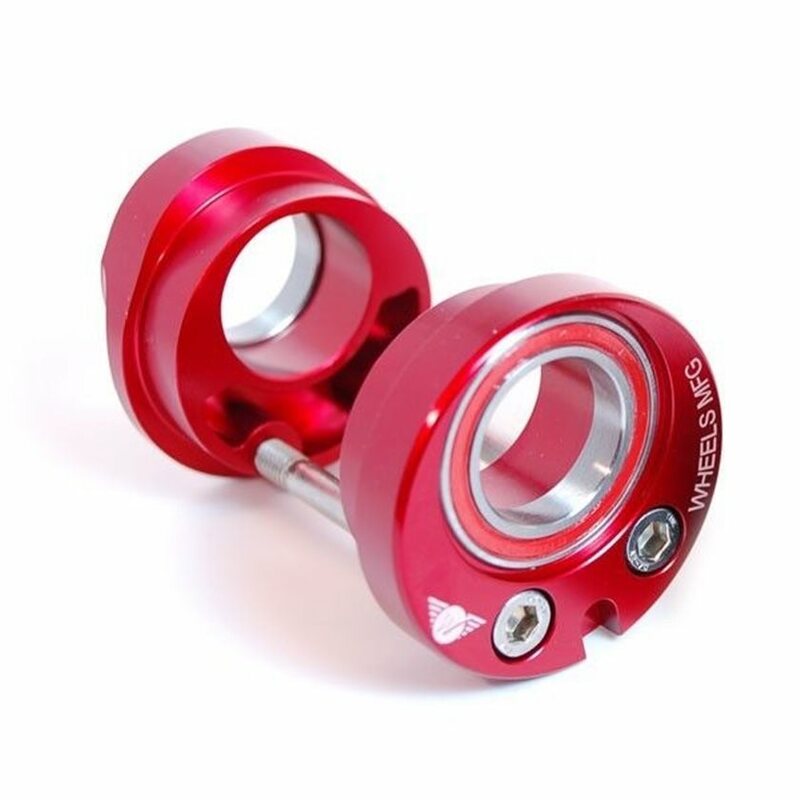 What stops this from being useable on a double gxp crank set? BEST ANSWER: Nothing, as long as you get the GXP version. Will this work in carbon frames? will this work on a BSA 73mm bottom bracket shell? BEST ANSWER: Nope, sorry to say that these eccentric BB's only work with Pressfit 30 BB's. If you're trying to make a Single Speed and don't have sliding rear drop outs then you'll have to use a tensioner on your derailleur hanger. Could you run a bike as a fixed gear with this, or is it too much torque? Will this work on my Niner SIR? 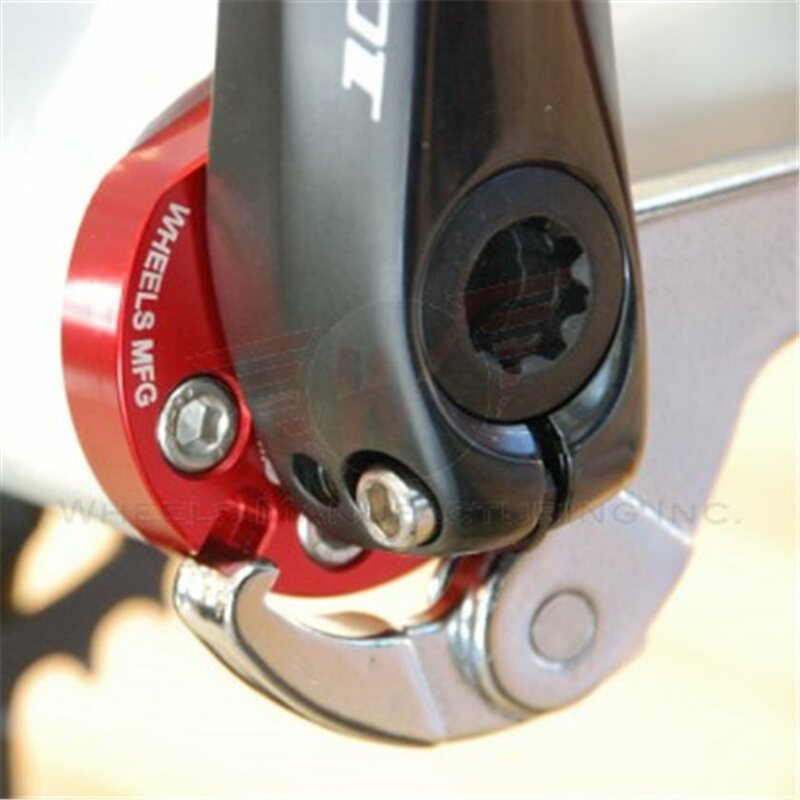 Will it replace the EBB1 from Niner? BEST ANSWER: Yup, just make sure your Niner has the PF30 BB.